These beautifully designed stretchy lycra hat covers are designed to fit all jockey riding skull caps. Teal is OUR firm favourite and best seller this season. 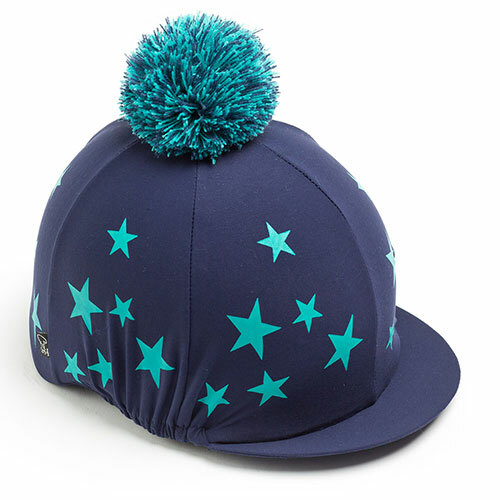 Jazz up your cross country kit with this awesome Navy & Teal Stars hat cover. Be bold and make these your NEW XC colours.